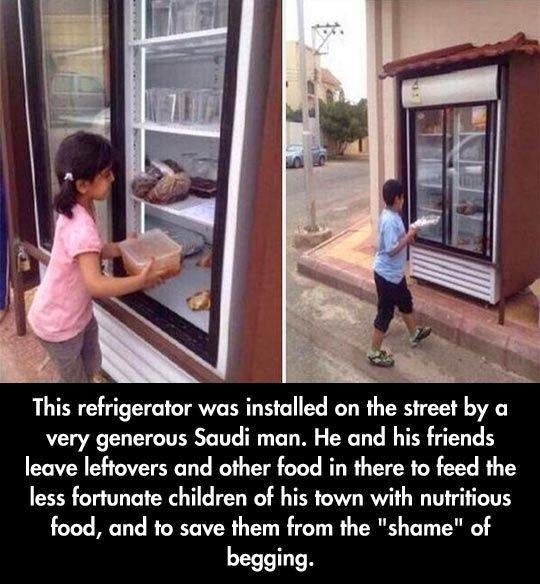 This would be great in America. Given the fact that stores toss out food everyday. Some people always go to Krispy Kreme around closing time. They give you like eight boxes of donuts. Even if you only order one. Why? Because they would just have to toss them out. They can't sell them the next day. Other bigger chains do this practice as well(not the giving away food part). I get that they have to do it cause it's the law. The law being to toss it out. How about a new law. Just make it so that if you take the food, you take it at your own risk. That way nobody sues. It's too many people in this world that need food. While it's just getting tossed away.